No comment is needed. Everything is said (and showed) there ! 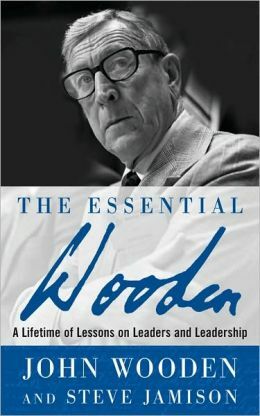 For many of you, the name of Coach John Wooden will sound familiar. For others, like me, it was a very recent discovery I made thanks to my friend Isaac Getz. Wooden UCLA basketball team coach has one of the most remarkable trackrecord of the history of sport. Yes, of sport. Not just basketball. Just have a look : 10 March Madness national championship in 12 years, 7 national championships in a row, an 88-game winning streak, a 38-game winning streak in national championship tounament play. But such an unequaled (palmares) is not the fruit of chance. It has been built day after day by an industrious and learning mind connected with the heart. to become the best you are capable of becoming. Though he was evolving in a highly competitive environement, Wooden does not mention others in his definition. This means that the measurment standard for performance is not an external but an inner one. Peace of mind and self satisfaction both come from inside. Effort is not a ranking. And the best you are capable of becoming does not necessarily mean becoming #1. Wooden’s definition is open : making the effort is a process, and a never-ending one. When external competition is no more the final judge of what your are, then what is left is the ongoing process of improvement. There is no surprise in seeing Wooden put “Industriousness” as one cornerstone of his Leadership pyramid. People who worked with him recall that his training sessions were extremely well prepared and with high intensity. If you shorten the definition to the extreme, you can possibly say that “Success is peace of mind”. This is what Wooden has taught again and again to young athletes – full of desires to win, to make a great career, to have their names in the Hall of fame, to earn a lot of money, etc… Was “peace of mind” something appealing to them ? Well, in the context of long and tough competitions like US University basketball championships, peace of mind is a key condition to win. “Winning becomes a by-product of how well prepared you are mentally, physically” says Mike Warren a former player of UCLA Varsity, quoting what Wooden would say to his team. I would say that this is a key mental preparation for winning : being able to be sufficiently detached from the end result so that you focus not on the result itself but on giving your best. Peacefully. Discovering Wooden’s life and philosophy (mainly through the book The Essential Wooden) has opened my eyes on my limits as a team coach. It helped me particularly in pointing out the big mistake I have made when I coached a team of young entrepreneurs at Team Academy, here in France. I was so much focussed on the results that the team should have produced, that I disregarded the effort that the teamsters were doing to become the best that they could be. When results were not there, even if they made the effort, they could see disappointment in my eyes. instead of building confidence in their capacity to give their best, this has created many times discouragement and drop of self-confidence, instead of enthusiasm and willingness to improve. Becoming a better team coach is a lifetime effort. Reading about Wooden’s style and principles has empowered me. I strongly recommend you to study his work… and try to practice it ! In a recent session with teams of Intrapreneurs from Group Poult (European leader in Private Label biscuits), we asked to some participants to illustrate through their experience what co-creation with customers really meant. The result was brilliant. We first heard about the new relationship between a factory in Brittany with United Biscuits, and then about the way Poult has helped Michel & Augustin (a French young and “crazy” company) in its development. I was supposed to give a short presentation on co-creation, but it proved totally useless. So I did not give it. Once again, I had been totally impressed by the power of what I call Lateral Learning – i.e. learning from your peers. In contrast to that, I took part last week in the preparation of a learning event for the top 120 people of a large well-known company. The whole meeting was about “filling” the program with more and more experts or speakers. At one point, I asked if it was not possible to leverage the knowledge, wisdom and experience of the participants. The idea was finally accepted, but why did we need so much time to have it appear in our conversation ? I guess it is because we have been educated in a system where knowledge is transmitted hierarchically from someone “who knows” to others “who don’t know”. It is considered mainly as an asset, seldom as a flow. 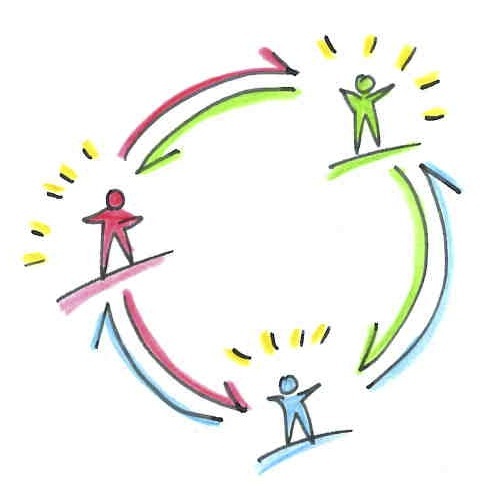 For some of the best researchers, knowledge creation is social and happens between people. We cannot control this process. At best, we can create conditions for it to happen. If you want to understand the profound meaning of this shift of point of view, you can watch this video made by the World Bank, that I discovered recently. 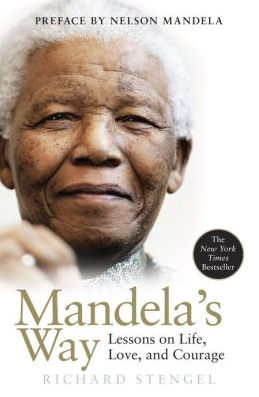 It explains very clearly the philosophy of a program called South-South Learning which differs from traditional ones where Western experts would tell to developing countries practitioners what they should do. In my experience (as a learner or as a designer), a ‘learning from your peers’ approach has ALWAYS worked. At Team Academy, lecturing is considered as a very powerful tool, so we use it with moderation (no more than 5% of the training session time). If we want to use Lateral Learning much more, we need to really believe in people’s ability to self-manage their work*. And that’s pretty difficult ! * This expression comes from M. Weisbord and S. Janoff remarkable book on Future Search.